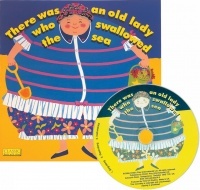 Thirty years after the publication of the much-loved classic ‘There was an old lady who swallowed a fly’ comes ‘There was an old lady who swallowed the sea’; a fantastic prequel to the original title. Here the old lady swallows more and more creatures from the sea to try and catch the initial fish. Fabulous Old Lady doll to match the book. Children will love retelling the story using this prop.